I found these at the antique store, sitting on a dusty shelf in a shadowy corner, forgotten by man and time. No, hold on, that was something else. I found these at the antique store, neatly stacked on a clean, well-lit shelf. They'd just arrived, and were set out to catch the eye of anyone who treasured such things. Unfortunately, they caught my eye as well, and I bought half the lot. They weren't cheap, but not too expensive; it's hard to say what a small children's magazine from the 20s ought to cost. The answer is "Whatever anyone will pay for it," I suppose. 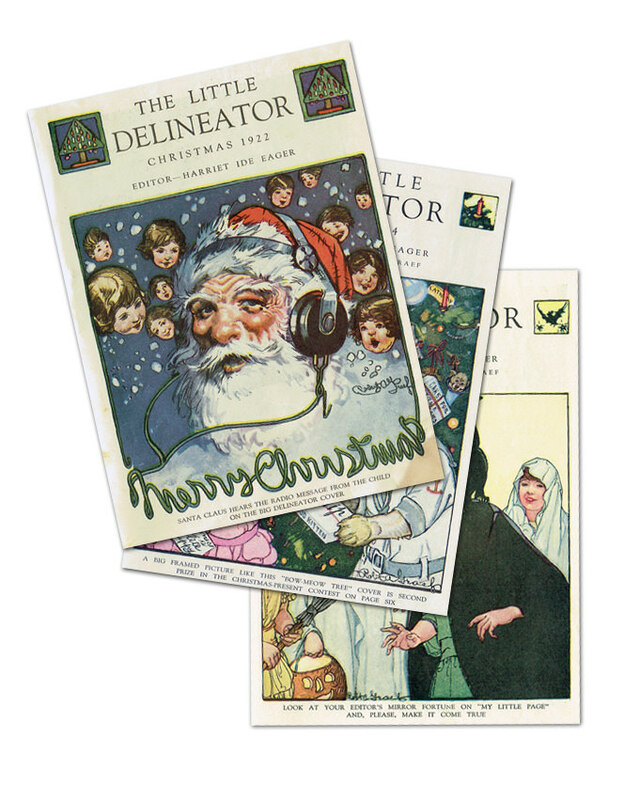 The Delineator was a women's mag taht ran from the late 1800s to 1937. This was the version for children, and it was thin business indeed. But kids must have liked it, possibly because the options for child-specific print entertainment were scant. I have seven issues, which I'll dole out in January. You can start here.